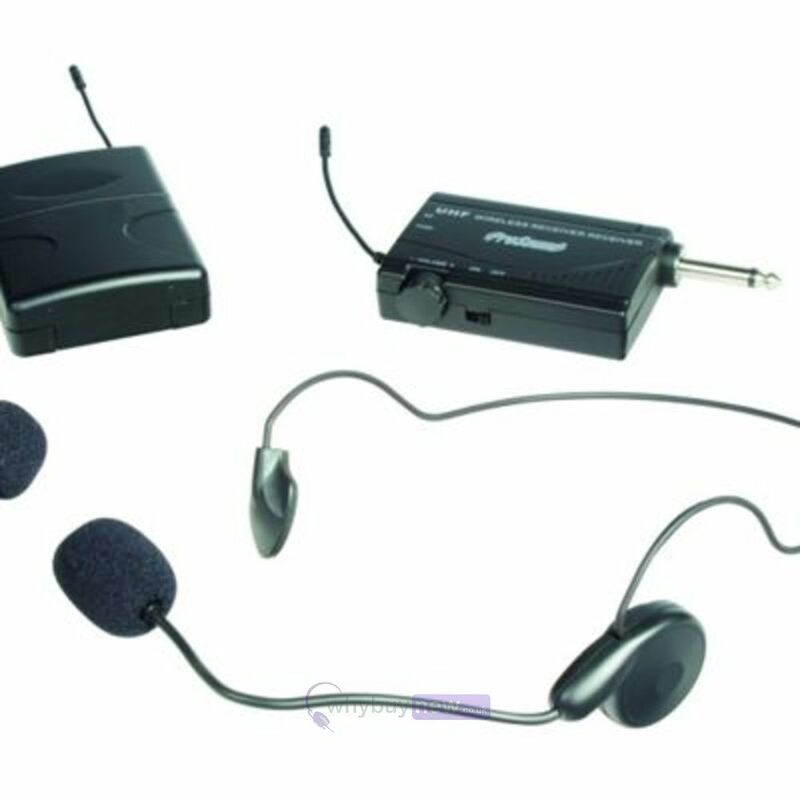 This bargain Prosound A75UR UHF wireless headset and Tie Clip microphone system comes fully tested, boxed and includes a 3 month warranty. Free yourself from wires with this wireless kit. With two microphone types to choose from with a headset and tie-clip microphone you can use the one best suited to you. The bodypack and receiver can be connected on one of 16 different selectable ultra high frequencies so you can get a clear sound without interference from other devices and obstacles. 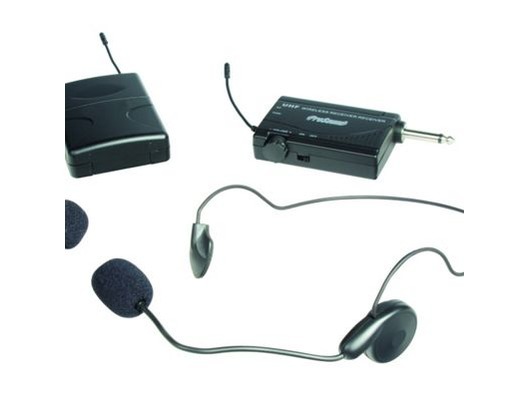 The bodypack kit gives you a choice between a headset microphone, which is ideal if youre moving around a lot such as a practical demonstrations, and a tie-clip microphone perfect for interviews. The microphones connect directly to the bodypack with a wire and then connect to the receiver wirelessly. You can get up to six hours of use out of three AA batteries. Pop in your batteries and select your frequency to connect to the receiver. Set your receiver to the same frequency and receive your microphones signal. The receiver uses battery power and outputs the audio through a single ¼ inch (6.35mm) jack to go to a wide range of mixers, amps and powered speakers without needing its own mains socket to choose from youll get the clearest signal every time. Please Note: May include batteries but please discard as may be low on power.